The Kubang concept, shown, will next appear in production form with a different name. 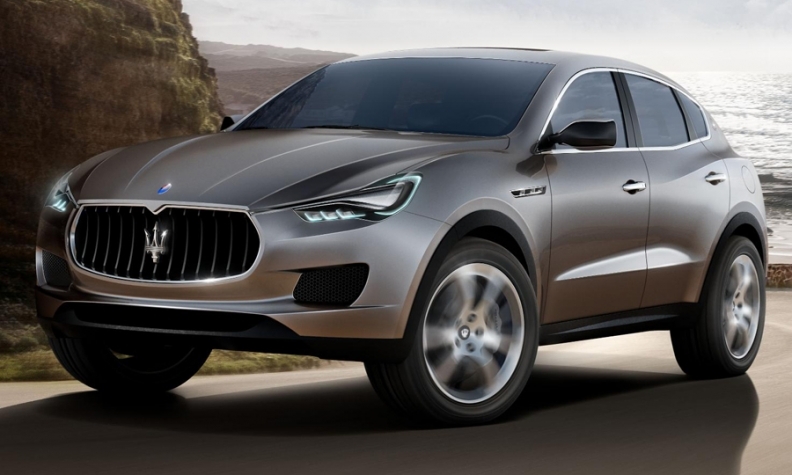 BEIJING -- Maserati says that the Beijing auto show will be the fourth and final auto-show appearance for its Kubang SUV concept. "After Beijing, we will retire the Kubang concept. Our SUV will reappear in its production form and with its final name in due time," Maserati CEO Harald Wester told Automotive News Europe on the sidelines of the show here. Sources say the production version of the SUV will appear at the Detroit auto show in January 2014. Unveiled last September at the Frankfurt auto show, the Kubang also has been displayed at auto shows in Dubai and Detroit. In Beijing, the Kubang was located near one of its future rivals, the Lamborghini Urus concept. Maserati, Lamborghini and Bentley want to enter the SUV niche a decade after Porsche broke with tradition and rolled out the Cayenne in 2002. The SUV -- not the brand's iconic 911 -- accounted for half of Porsche's 118,867 sales in 2011. Demand for luxury SUVs, including the Cayenne and Mercedes-Benz GL class, is forecast to climb 49 percent in China to 265,200 units in 2015, according to IHS Automotive. Maserati plans to start European and U.S. sales of its new SUV in the first half of 2014. Media reports say that the Lamborghini Urus will arrive in 2017 at the earliest. Maserati's SUV will share its underpinnings with the Jeep Grand Cherokee and will be built by Chrysler in Detroit. Maserati will supply gasoline and diesel engines from Italy. The Fiat subsidiary aims to sell 20,000 to 25,000 units of the SUV a year.